DRF-funded research was published this week in Cell, one of the world’s most prestigious scientific journals, analysing why two golden retrievers showed no severe symptoms of Duchenne muscular dystrophy and unexpectedly lived a normal lifespan despite being born with the genetic mutation that causes Duchenne. It is now thought that the results could open up new avenues for possible treatments for Duchenne. 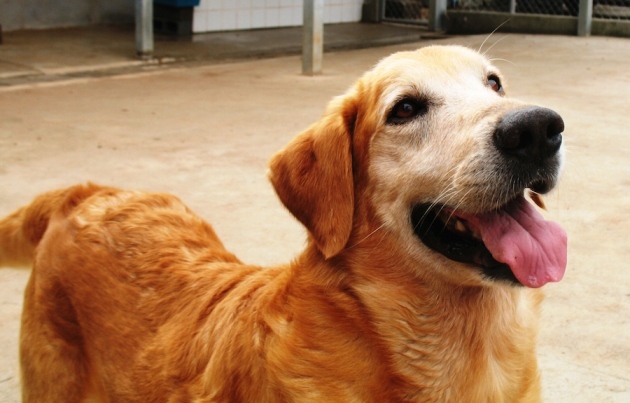 Mayana Zatz, a geneticist at the University of São Paulo in Brazil, her colleague Natássia Vieira and their team spent eight years studying why golden retriever Ringo and his son Suflair were healthy and active despite a complete lack of dystrophin, while the other puppies in their litters suffered muscle wasting like boys and men with Duchenne. Their team found that Ringo and Suflair also happened to have a mutation in a gene called Jagged1, which caused them to have higher levels of the Jagged1 protein than the other dogs. This increased protein seemed to protect the dogs from the effects of muscular dystrophy, although it is still not clear how. This separate mutation has never before been linked to muscular dystrophy, but it is now hoped that studying it might lead to possible treatments for Duchenne. Learn more about the team’s incredible breakthrough at Nature.com. Read the scientific abstract of their research on Cell.com.